We'd love it see your photos if you try this recipe. Share on Facebook or Instagram, and don't forget to use #geniusglutenfree so we don’t miss it! To make the croutons, remove the crusts from 4 slices of bread. Cut each trimmed slice into 1 cm cubes. Spread over the base of a roasting tray, lightly drizzle with olive oil, season with salt and bake at 200’C/400’F for 10 minutes or until the cubes are golden brown. Remove from the oven and leave to cool. 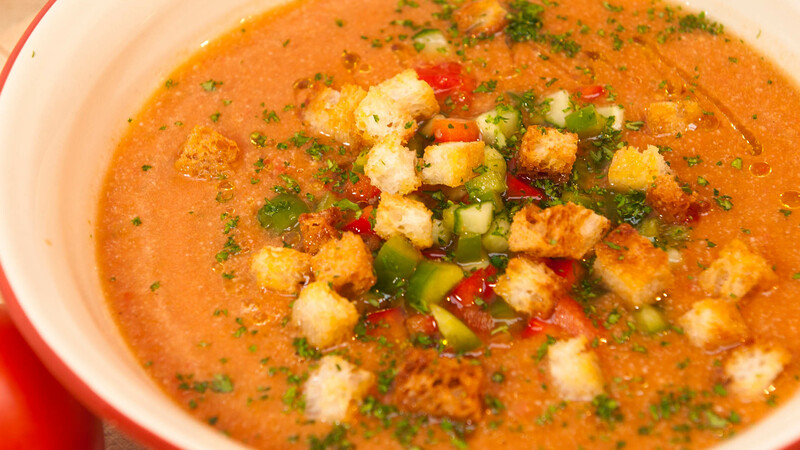 For the Gazpacho, first soak the breadcrumbs in the oil and sherry vinegar for 15 minutes. In a blender, whizz the peppers, onion, cucumber, garlic, fresh and canned tomatoes, sugar and water to a thin puree. Add the bread, oil and vinegar mixture. Whizz until smooth. Taste and season with salt and pepper. Chill for 1 hour. To serve, ladle into bowls, and garnish with a handful of diced peppers, cucumber, chives and a scatter of croutons. Something else to tempt your tastebuds? 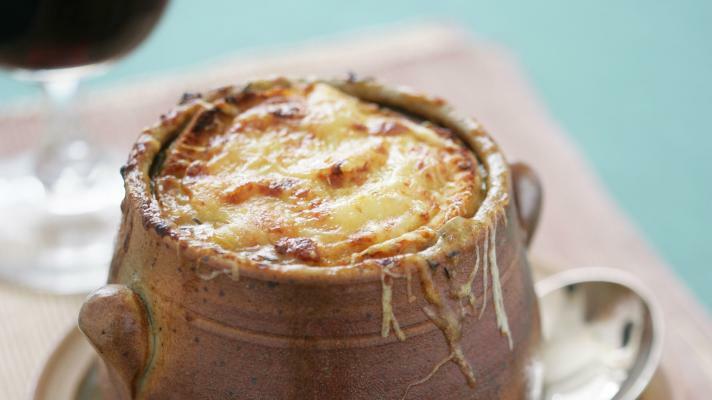 There is nothing so rewarding as breaking through a crust of crisp cheese and bread to get to a rich soup below. 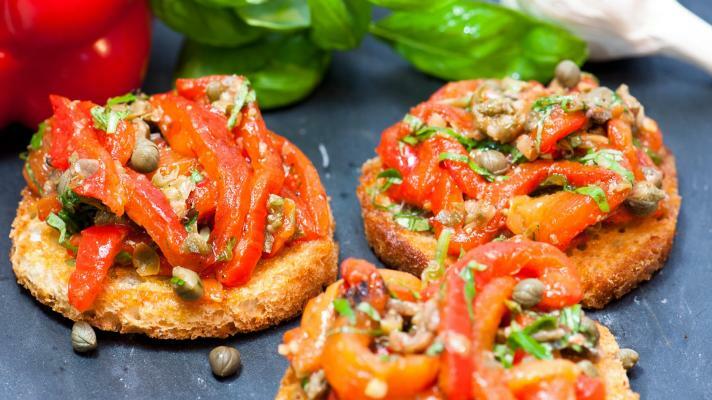 Perfect for serving as canapés or a light starter. These gluten-free rich and warming croquetas are delicious as a hot canapés with drinks or made slightly larger as a starter garnished with a crisp green salad.